Mother Goose School, a San Francsico child care facility, announces its March theme of "Mother Goose Rhymes" and reminds everyone of important dates throughout the month. Mother Goose Pre-School is a creative, educational child care facility. Mother Goose School, an established San Francisco child care facility, announces its March theme to be "Mother Goose Rhymes" and important dates throughout the month. "All month long we will be sharing our favorite rhymes with the children," Dana Hemberger of Mother Goose School said. "We encourage families to read their child different nursery rhymes at home. Nursery rhymes are a great tool for improving memory, promoting language skills and understanding rhythm." Mother Goose School will also be celebrating St. Patrick's Day the week of March 12. The preschool has a special Irish meal of corned beef and cabbage with potatoes planned. On March 27 and March 28, Mother Goose School will host a yearly vision screening for the children. Prevent Blindness of California and Mother Goose School will provide the screening. Many eye care practitioners who specialize in children’s vision believe that prolonged computer and iPad use puts them at greater risk for Progressive Myopia. Experts recommend only 20 to 30 minutes of use per day for 2 to 4 year olds. Mother Goose School provides parents with guidance when selecting a school for their child, and assists with placement in private and parochial schools. This month, Mother Goose School would like to learn about the choices parents have made for their child for fall 2012. For more information about its March events or Mother Goose School, call 415-221-6133 or view the school on the web at http://www.mothergooseschool.com. 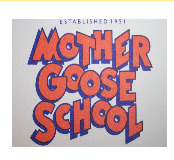 Mother Goose School is located at 334 28th Ave. in San Francisco. Mother Goose School is a well-established San Francisco preschool that offers a creative and educational child care facility for local children and families. With experienced teachers and professionals, Mother Goose provides quality services and personalized programs that place each child in an appropriate level upon entry. Students are separated by age and skill range, enabling each child to reach his or her potential in a comfortable environment.